According to the RSPB, the decline of Asia’s vultures has been at a faster rate than that of the dodo. Three species of vultures in South Asia are critically threatened with extinction in the near future, the long-billed vulture, the slender-billed vulture and the oriental white-backed vulture (the latter of which was so abundant in the 1980s in India, it was probably the most common large bird of prey in the world.) 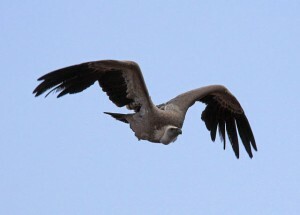 These three species have all declined by over 97% and the oriental white-backed vulture by over 99.9%. 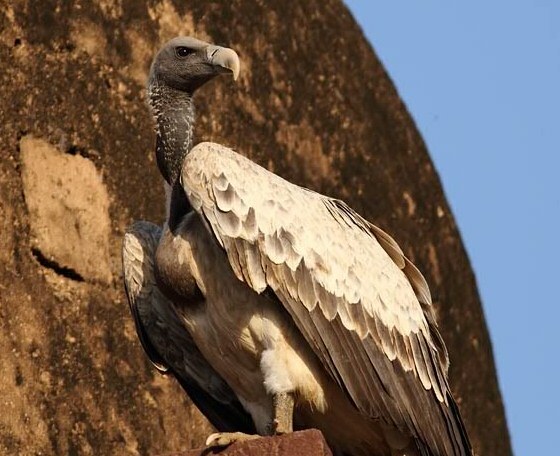 Since the early 1990s, vultures have been disappearing in India, Pakistan and Nepal. A study in 2004 showed that they were dying due to poisoning. A veterinary drug called diclofenac was being used as an anti-inflammatory to treat livestock. When the vultures eat carcasses of animals that have been treated with this drug, they experience kidney failure and die. 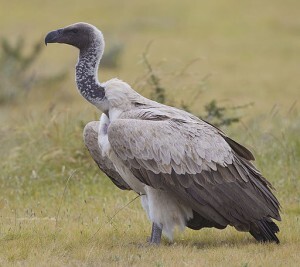 The RSPB states that even if less than 1% of animal carcasses contained lethal levels of this drug, this would have been enough to cause the almost total collapse of vulture numbers. The manufacture of diclofenac was made illegal in 2006, but the problem persists. The human form of the drug is not banned, so livestock owners can get around the veterinary ban by using the human form to treat their cattle. The human form is widely available and freely for sale in conveniently large vials, something which the RSPB (and its partners in the S.A.V.E partnership www.save-vultures.org) is desperate to stop. Captive breeding programmes have been established to breed healthy birds, and release their offspring when diclofenac is no longer a threat. So-called “vulture restaurants” have also been created as places where healthy carcasses are left for vultures, to guarantee a drug-free meal. Although worrying rumours are emerging that these are being abandoned by the government in India, they are working well in Nepal where they were set up by Bird Conservation Nepal five years ago. Old and sick cattle are bought from villagers and offered to the birds when they die. 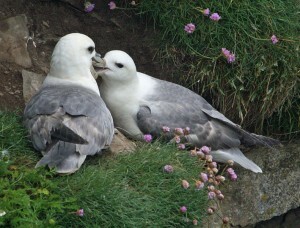 At the first restaurant to be established at Pithauli, now a tourist attraction, the number of nesting pairs has grown from 17 to 46. However, without enforcement of the ban on diclofenac for livestock treatment, saving these magnificent birds will remain an uphill struggle. “This photograph was taken in the historic old city of Orchha in central India’s Madhya Pradesh by the river Betwa where I saw this nesting colony of some 30 huge birds. They were using some old cenotaphs by the river as their home. The area is quite remote and is surrounded by relatively dense forest. However, it is quite likely that these vultures survive on carcasses of cows, buffaloes and dogs as there is considerable human settlement in the area. Therefore it can be assumed that at least in that area there is no diclofenac. The unfortunate long billed vultures, I am told, are making a slow but steady comeback as the ban on diclofenac finally starts to have some effect. Madhya Pradesh is one of the very few states in India where it is staging a smart comeback. Neighbouring Rajasthan I believe is another state where the comeback is also happening steadily. I saw several of them in flight in Rajasthan during the same trip last October. 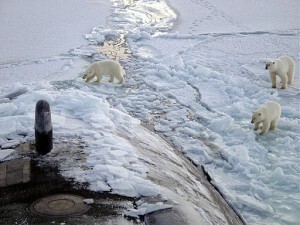 A new multinational study, the first global review of Arctic marine mammals, has assessed the status of all circumpolar species and subpopulations, and highlights the precarious state these animals are in.